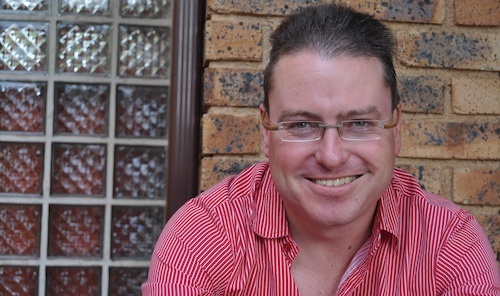 On Sunday evening, DA political strategist Ryan Coetzee held a “town hall meeting” on Twitter. It went off rather well, and the party plans to host them weekly. It’s clear social media are becoming an important new electioneering platform in SA. Using the hashtag #daqa, Coetzee hosted a nearly two-hour session on the group messaging service. Twitter users kept tabs on the debate by subscribing to the hashtag and posting questions to Coetzee and other DA leaders, including national spokesman Lindiwe Mazibuko, Cape Town deputy mayor Ian Neilson and the party’s Gauteng chairman, Mike Moriarty. It was a lively session. The party received plenty of messages of support, but also had to field a number of tough questions, including a few from this columnist, about its refusal to disclose its sources of funding. Though only a small minority of South Africans uses Twitter for now, the willingness of the DA to engage with voters using new social media platforms is refreshing. Coetzee stated up-front that no questions were out of bounds. It’s just a pity that DA leader Helen Zille didn’t participate. Perhaps she’ll join a future one. Technology has long been a feature of US elections. President Barack Obama made good use of Twitter and Facebook to drum up support during his presidential campaign. It’s now unthinkable for political parties in advanced democracies not to use social media. The DA was not the first political party to use technology to engage with SA’s electorate. In the mid-1990s, former posts, telecommunications & broadcasting minister Pallo Jordan used Internet Relay Chat to take questions from the public about the then-new ANC government’s telecoms policies. It was remarkably progressive: remember, this was in the days before Netscape and later Internet Explorer popularised the World Wide Web. Of course, it meant Jordan was engaging with a tiny elite of technology-connected geeks. But as communications technology has spread to every corner of the earth, so it has transformed the way people engage with each other. Social networks, especially Facebook and Twitter, played a pivotal role in the downfall of Hosni Mubarak’s regime in Egypt and have unsettled other authoritarian governments across the world. It’s no coincidence that Mubarak’s first order of business in trying to contain the rising protests in Egypt was to cut off access to the Internet. In democratic countries, social media are helping create a more engaged electorate. The letters pages in newspapers have always been the preserve of a limited number of their readers, those who could be bothered to sit down and write a well-crafted piece that might be published a few days later — if it got past the letters editor. Now, anyone with an Internet connection can vent their views and instantly generate a conversation. It’s changing the way companies, especially retail organisations, engage with their customers. And it’s transforming politics. It’s making political leaders more accessible to the electorate, and giving politicians a new platform to sell their ideas. There will be those who pooh-pooh the idea, arguing that the “digital divide” in SA between those who are connected and those who aren’t means that these services will remain in the hands of a relatively wealthy niche of the electorate. They’d be wrong. As smartphones become cheaper, millions of South Africans are getting online for the first time on their mobile phones. Vodacom CEO Pieter Uys reckons 9m of the group’s customers already use data (in some form) on their handsets, and he expects that number to grow to 25m in the next 24 months. That’s astonishing growth. It’s transformative stuff. It is little wonder, then, that the DA is taking social media so seriously. Can SA’s other parties be far behind? Great initiative, but Twitter is an awful platform for it; this kind of QA session is extremely common, and the standard way of doing it is IRC. Never mind the 140 char limit for the DA to respond to important questions. Browser-based IRC clients would make it more accessible than Twitter, and there’s an easy to follow chronological record in IRC logs that give questions context, and could be archived. Right now, if you look for #daqa or @RyanCoetzee on twitter, the data returned is useless. There may be a way to make sense of it, but I’m a casual twitterer, as would be most the people involved in an event such as this. IRC still is and probably always will be a protocol that is never going to catch on. Twitter is a good way of doing things, but the 160 char limit is annoying. Facebook could be a better alternative. Twitter is great, but group discussions are still better on Facebook methinks. One can bypass the need to ‘accept a friend request’ by simply opening an ‘open group’ account & Bob is you dad’s brother! I consider myself fairly literate with an Eng postgrad, but still find Twitter’s ‘additional functionalities’ too complex to comprehend. The advantage that Twitter has over Facebook is the greater real-time feeling you get, I think. The DA does have facebook pages, with discussion threads, where conversations continue all the time, not just during election campaigns. But it doesn’t have the same immediate response that Twitter does. The problem with IRC is that, that’s not where the conversation is. I consider myself a bit of a new media buff, and I don’t use it. Using social media as a political party is about joining conversations with voters where they are, not trying to get voters to join you where you are. Having said that, I think there could be some value in consolidating the #daqa twitter stream – perhaps into a blog post – or selecting some of the key questions and answers from the townhalls and posting them to the FAQ section on the DA website. There are certain themes that arise more than once. @Ant neither Twitter nor Facebook are good platforms for a real-time Q&A. IRC might not be hip and cool, but it remains a backbone of the internet, and will probably be around after Twitter and Facebook have both gone from the internet. I see Twitter as IRC dumbed down for the masses, but Twitter is indicative of the vanity of modern times where users want things to revolve around them, as opposed to IRC where it revolved around interests (twitter hash tags are an attempt at trying to recapture this) and users contributed to the conversation. A 140 character limit for politicians?! A bad thing? Come on! It’s a miracle! now if only we could get them to reply like that in real life! Twitter works precisely because it channels replies in a concise way. Thats the best thing about it. keep it up DA. You’re doing good! I recently loaded TweetDeck and that seems to record a more controlled log, but whether it will handle a full evening debate session is yet to be seen. Mixit is also not designed for this BLOG type effort. Can the DA not introduce a combination of a CHAT venue that so many websites offer, which do keep a continual log of all chat lines, AND incorporate the Twitter hashtag responses and FB and other social networks ALL IN ONE. Some bright spark developer needs look into that one FAST.